Robert M. Bowman Jr. served for 10 years as executive director at the Institute for Religious Research in Cedar Springs, Mich. 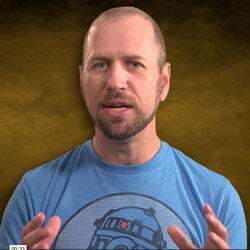 He has lectured on biblical studies, religion, and apologetics at Biola University, Cornerstone University, and New Orleans Baptist Theological Seminary. 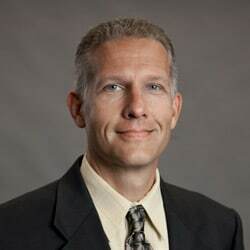 He is the author of more than 60 articles and the author or co-author of 13 books including Putting Jesus in His Place: The Case for the Deity of Christ, co-authored with J. Ed Komoszewski, and Faith Has Its Reasons: Integrative Approaches to Defending the Christian Faith, co-authored with Kenneth D. Boa. Rob holds M.A. and Ph.D. degrees in biblical studies from Fuller Theological Seminary and South African Theological Seminary. He is widely regarded as the leading evangelical scholar addressing the uses and interpretations of the Bible by Jehovah’s Witnesses and Mormons. 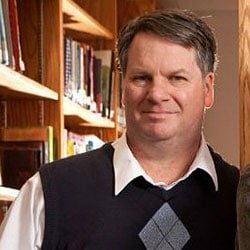 He has written four books on the Jehovah’s Witnesses, and his doctoral dissertation was on the use of the Sermon on the Mount in the Book of Mormon. 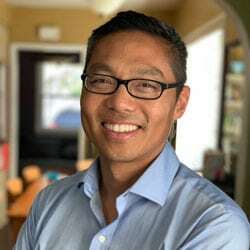 James Choung serves as vice president of strategy and innovation at InterVarsity Christian Fellowship USA. He is also ordained with the Vineyard USA, and has written both True Story: A Christianity Worth Believing In and its follow-up, Real Life: A Christianity Worth Living Out. He speaks frequently at campuses, churches, seminaries, and conferences, and has taught seminary classes on culture, leadership development, and evangelism. His work has been featured in Christianity Today, Leadership Journal, and Outreach Magazine. James previously served on the pastoral staff of a Boston-area urban church plant, of a megachurch in Seoul, and led an LA-adjacent house church. 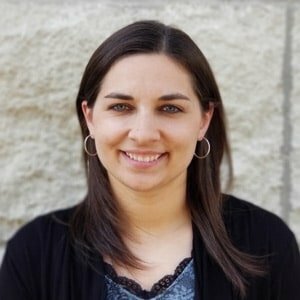 He has led worship at various national conferences including the Urbana Student Missions Conference, and sat on boards for higher education and an overseas business startup. He and his wife have three children. 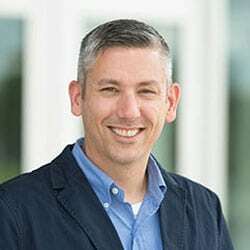 Dan DeWitt is associate professor of Applied Theology and Apologetics and Director of the Center for Biblical Apologetics and Public Christianity at Cedarville University. He taught and served in academic leadership at Southern Seminary in Louisville, Ky., for more than a decade before moving to Cedarville. He has served in various pastoral roles, including lead pastor of the Campus Church of Highview Baptist Church, which met on the campus of the University of Louisville. 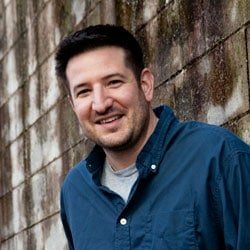 Dan has published articles with Christianity Today, The Gospel Coalition, Desiring God, TableTalk Magazine, Touchstone Magazine, Relevant Magazine, and Crosswalk.com, and has published books with Crossway, The Good Book Company, and B&H Publishers. He holds a B.A. in biblical studies from Lexington Baptist College, an M.Div. from Southern Seminary, and a PhD in academic leadership from Southern Seminary. Joshua Hedger serves as pastor of teaching and vision at Emmaus Church in North Kansas City, which he planted in 2015. Through the Emmaus Pastoral Residency, Joshua is actively training more than 10 aspiring pastors each year. Emmaus Church currently is helping plant churches in Washington State, Rhode Island, and Italy. 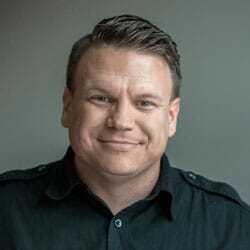 Previously, Joshua served as a church planter in southwest Missouri and as director of Church Planting and Partnership for Midwestern Baptist Theological Seminary. Joshua and his wife, Tish, have two children. Ray Jones is founder and president of Radiance Ministries, which helps the church get outside the walls of its building to share Christ and help people understand true worship. Ray has served full-time in local church ministry in Alabama, Louisiana, and Texas. He has traveled extensively nationally and internationally to Mexico, Moldova, Haiti, and Central America to share Christ and teach the church about worship. He is the author of Will You Worship?, which is in its fourth printing. Ray and his wife, Andrea, have four boys. Dave Runyon is the co-founder and director of CityUnite, which helps government, business, and faith leaders unite around common causes. He also serves as a consultant for businesses that have a desire to make a difference in their communities. 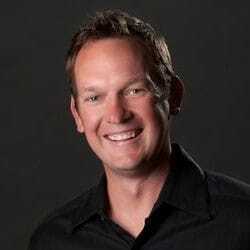 Previously, Dave served as a pastor for nine years at Foothills Community Church and The Next Level Church in Colorado. In 2010, he launched a neighboring movement that mobilized more than 70 churches and 40,000 people in the Denver Metro area. He graduated from Colorado State University, where he studied history and secondary education. He speaks locally and nationally, encouraging leaders to work together for the good of their cities. Dave and his wife, Lauren, have four children. 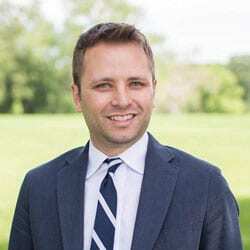 Owen Strachan is associate professor of Christian theology, director of the Center for Public Theology, and director of the Residency Ph.D. Program at Midwestern Baptist Theological Seminary in Kansas City, Mo. 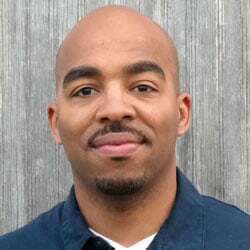 He also serves as Senior Fellow of the Council on Biblical Manhood & Womanhood, is a contributing writer for The Gospel Coalition, and serves as a research fellow of the Center for Pastor-Theologians. Owen has published numerous books, including: Risky Gospel: Abandon Fear and Build Something Awesome, Reawakening the Evangelical Mind, and Designed for Joy. He also writes for various academic journals and has authored articles for The Atlantic, First Things, and Christianity Today. He holds degrees from Bowdoin College (A.B. in history), Southern Seminary (M.Div. in biblical & theological studies), and Trinity Evangelical Divinity School (Ph.D. in theological studies). He and his wife, Bethany, have three children. Kempton Turner serves as pastor of City of Joy Fellowship in E. St. Louis, Ill. Raised in that city, he spent most of his life in Houston, Texas. After “a sinful life in the passions of the flesh,” he was “made alive through the powerful gospel of Jesus Christ,” who won his allegiance and affection. He served on the pastoral staff at Bethlehem Baptist Church in Minneapolis, Minn., for seven years before being led by the Holy Spirit and sent by the elders of Bethlehem to return to E. St. Louis and plant City of Joy. He and his wife, Caryn, have five children. 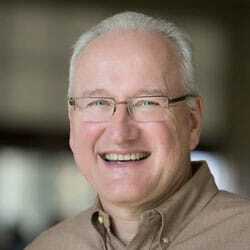 Bill Victor serves in the Making Disciples group and as the Scholar in Residence for the Missouri Baptist Convention. He has taught as an adjunct professor at Southwest Baptist University, College of the Ozarks, Hannibal LaGrange University, and Liberty University’s School of Divinity. In addition, he has served numerous churches as interim pastor. Bill holds a PhD in New Testament from Southwestern Baptist Theological Seminary. He and his wife, Chris, have a daughter. 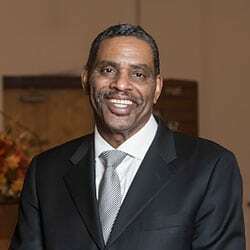 K. Marshall Williams is senior pastor of Nazarene Baptist Church in Philadelphia, where he has served for more than 30 years. He is universally recognized as a visionary, innovator, and organizer with superior leadership qualities. A “pastor’s pastor,” his unique gifting transcends denominational, cultural, ethnic, and generational boundaries. Williams is a nationally sought-after preacher, lecturer, and advisor. He holds a B.A. degree from Augsburg College in Minneapolis and a Master of Divinity degree from the Palmer Theological Seminary of Philadelphia. He was a missionary with Sports Ambassadors and served as an adjunct chaplain and Bible expositor for the Philadelphia Phillies, Eagles, and 76ers. In 2014-15 he was elected president of The National African American Fellowship of the Southern Baptist Convention. In 2014 he preached at the SBC in Baltimore, and again in Columbus, Ohio, in 2015. He and his wife, Constance, have three children and one grandchild. 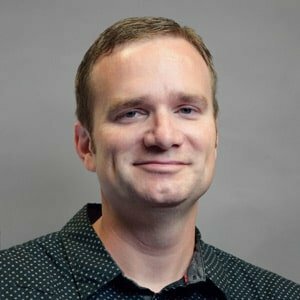 Jared Wilson is the director of content strategy and serves as managing editor of For The Church at Midwestern Baptist Theological Seminary. He also is director of The Pastoral Training Center at Liberty Baptist Church in Liberty, Mo. A 25-year veteran of local church ministry, Jared previously planted a church in suburban Nashville and last pastored a church in rural Vermont. Jared also is the award-winning author of nearly 20 books, including most recently The Gospel-Driven Church, which is coming March 2019 from Zondervan. Jared and his wife, Becky, have two teenage daughters. Jason Yarnell is campus minister for Northwest Missouri State BSU, where he has served with his wife, Karin, since 2001. Jason’s goal is to invest deeply into students so they are equipped to take the gospel to the ends of the earth and to make disciples for the rest of their lives. Jason and Karin have three children.